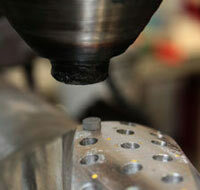 Drilling Tools International Acquires Reamco, Inc.
LAFAYETTE, La. (March 7, 2014) – Hicks Equity Partners ("HEP"), a private equity firm led by the Thomas O. Hicks family, today announced that its portfolio company, Directional Rentals, Inc., has acquired Reamco, Inc., a company based in Lafayette, Louisiana that manufactures, rents and refurbishes downhole drilling tools and related products used in the drilling industry. Directional Rentals, Inc., a leading oilfield services company, has also been renamed Drilling Tools International ("DTI") to more accurately reflect the company's mission of renting, manufacturing and selling drilling tools used in bottom hole assemblies to the world's leading oilfield services companies, independent directional drillers and exploration companies, both onshore and offshore. Reamco specializes in the manufacture and refurbishment of stabilizers, drill collars, reamers and related products, and also offers grinding and hardfacing capabilities. Through this strategic acquisition, DTI will expand its machining capabilities and offer even better customer service by shortening turnaround time and improving quality on essential tool repairs. Reamco maintains key certifications from the American Petroleum Institute (API) and is ISO certified. Reamco's previous owners, Brent Milam and Ashley Lane, have become shareholders in DTI and have joined the company's management team. 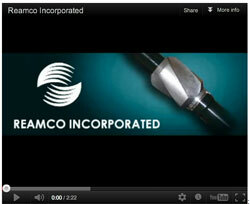 Mr. Milam founded Reamco in 1985 and has served as the company's President since that time. Mr. Lane was instrumental in Reamco's founding and returned to the company as CEO in 2011 after leading Drilling Logistics, Inc. for several years. Thomas O. Hicks, Chairman and Chief Executive Officer of Hicks Equity Partners, said, "We are delighted by DTI's progress since we acquired the company in 2012. Wayne Prejean and his team have done an outstanding job meeting the needs of a dynamic marketplace and positioning the Company for future growth. 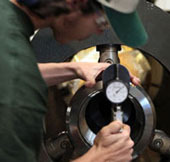 Likewise, Brent and Ashley have also built an excellent company in Reamco and have cultivated a well-deserved reputation as a leading downhole tool manufacturing company. The combination of these two world class entities creates a more competitive industry participant with expanded capabilities that we expect to drive growth in the international drilling markets." DTI CEO, Wayne Prejean, added, "The acquisition of Reamco is a 'win-win' that strengthens our strategic position and capabilities through an enhanced ability to aggressively pursue new markets such as deep water drilling. In particular, our customers will benefit as we bring more maintenance and repair operations in-house, allowing us to more efficiently deliver the services they need. We look forward to growing Reamco through key investments in its facilities, equipment and people, which is the true strength of our company." Brent Milam said, "I am excited to join forces with Wayne Prejean, the DTI team and Hicks Equity Partners. I have dedicated much of my professional career to the development of this company and could not have asked for better partners as we look towards the next phase of our growth. Mr. Ashley Lane added, "With the opening of our new sales office in the North Sea and the horsepower and asset base of DTI, I look forward to substantial growth in Europe, West Africa and the Middle East." Bracewell & Giuliani LLP served as legal counsel to DTI and KPMG provided accounting and tax advice with respect to the transaction. 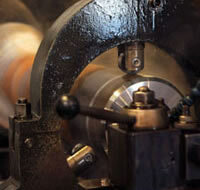 Based in Houston, Texas with operating locations in Lafayette, Louisiana, Midland-Odessa, Texas, Pleasanton, Texas, Oklahoma City, Oklahoma, Casper, Wyoming, Quitman, Arkansas and Bakersfield, California, DTI rents tools to directional drilling companies and exploration companies for bottom hole assemblies used in onshore and offshore horizontal and directional drilling. 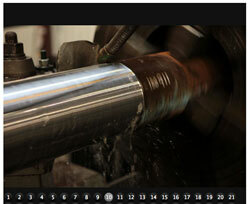 The company's substantial rental equipment portfolio consists of drill collars, stabilizers, sub-assemblies and other downhole tools in a wide range of sizes made from non-magnetic, nickel-based specialty metal and basic carbon steel. 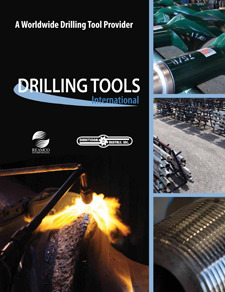 For more information on DTI, please visit www.drillingtools.com.